For more than a decade, social networking has taken over internet users’ lives, with social networking apps being the preferred entry point for content and engagement. According to studies, teenagers spend at least nine hours per day on social networks, with the majority of this being done through mobile devices. The same data says that users spend even more time on social media than actual socializing. There is a downside, of course, which is privacy. As the saying goes, if the product is free, then chances are that you are the product. Facebook, Twitter, and other social networks give you untethered access to their platforms, all in exchange for something valuable – insights into your behaviors, preferences, habits, connections, location, and content. Most of the drawbacks of social networking stem from the fact that actual control is centralized on the platform owner, even if the content and activity come from its users. Since its inception around eight years ago, Bitcoin has only recently caught the interest of the internet-at-large, mostly due to its potential as an instrument for investment. 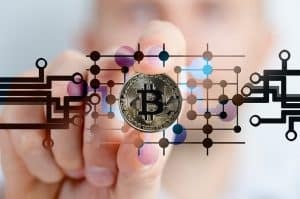 While the value of the cryptocurrency itself is volatile and always fluctuating, it is the underlying technology that holds promise across industries. The blockchain – the decentralized and distributed ledger used by cryptocurrencies – can also be used to disrupt other industries and applications. Now, blockchain startups have gone beyond cryptocurrencies. With blockchain systems like Ethereum and NEO offering the ability to run applications and establish smart contracts, there is an opportunity to disrupt all sorts of industries – social networking one of them. The new generation of social networks addresses the disadvantages of a centralized approach to social networking in favor of a decentralized system, thereby bringing about efficiency, privacy, and security gains. One of these is Nexus, a platform that combines social networking with crowdfunding. Another is Obsidian, which is focused on the messaging aspect of social networking. Here is why a blockchain-based approach to social networking is beneficial. Social networks are a goldmine of user information, and the likes of Facebook, Twitter, Instagram, and more, are exchanging our aggregated information to provide their clients better targeting for their advertising and marketing campaigns. If you do a cursory review of the Terms of Service of most social networks, you will notice one common theme: that once you upload your content on the platform, the social network has the right to access your content for their own purposes, whether these are text, images, videos, and the like. While Facebook says that “you own all of the content and information you post on Facebook,” the reality is that the company, it also says that it uses information gathered from users to target advertising and customize engagement. A blockchain-based approach to social networking addresses this by establishing a decentralized approach to connectivity. By getting rid of the central server, there is no single entity that can enforce such monitoring and controls over user-generated content. If aggregated analytics and user targeting are not bad enough, social networks like Facebook are even being accused of eavesdropping on users through smartphone microphones. For most people, this might not be a concern, but for those who are paranoid about their privacy, then the most viable option is to not join social networks at all. However, social networks still have their merits, in terms of business networking, collaboration, and exchange of ideas. Here, we can again highlight the decentralized nature of the blockchain, which ensures privacy and security through a distributed consensus mechanism. “By decentralizing and encrypting all data and uploads, Nexus hopes to eliminate all invasion of privacy that large corporations are currently performing,” says Nexus founder Jade Mulholland. For those in repressive regimes or where censorship is an issue, a blockchain-based approach to social networking offers the benefits of secure authentication whilst still ensuring anonymity. Even with messaging services like iMessage, WhatsApp, and others, having end-to-end encryption, the problem lies with the meta-data that gets exchanged with the messages, which leave digital breadcrumbs that third parties can pick up. Thus, even if eavesdroppers do not know the contents of a message, they can determine where it came from, who it is addressed to, and other such details. Apart from messaging, peer-to-peer commerce is another area being explored by social networks. Blackberry has attempted this with BBM’s resurgence in some markets in Asia (particularly Indonesia). Facebook is also implementing some form of payment mechanism through Messenger. However, there is usually a disjoint in terms of the messaging and the payment platform. A blockchain-based approach to messaging and social network can easily address this need. Because cryptocurrencies are blockchain-based, then users can easily exchange coins or tokens through the same social network. In addition, smart contracts can make social networks function more like a trusted network, wherein users can make actual deals or exchange of value through cryptographically-signed and executed contracts. There is potential for all kinds of industries integrating social with all sorts of transactions. Finally, we can point to the popularity of crowdfunding websites like Kickstarter and Indiegogo. Consider also how startups have successfully raised capital through tokensales or ICOs. A social network that runs on the blockchain can let users easily raise money through crowdfunding. The same decentralized network that runs the cryptocurrency can also support similar crowdsales without having to utilize external payment mechanisms. The rapid growth of social networks has led to burgeoning infrastructure that has required platform owners to primarily earn their keep through ad sales. This has led users to be at a disadvantage because their data has become the “currency” being traded by social networks. A decentralized approach to social networking can ensure better privacy, as well as the potential to do more with smart apps and contracts, as well as e-commerce and crowdfunding transactions.